“Every plant and tree died,” said James Ahnassay, chief of the Dene Tha First Nation, according toThe Globe and Mail, as he spoke of the effect the spill has had on the land. The Dene Tha apparently also believe that waterfowl may have been killed in the spill, which took place in a wetlands area, but according to The Globe and Mail, Apache representatives said they saw no impacts on wildlife. The Alberta Court of Appeal’s decision to uphold the claim against the crown, grants the BLCN the opportunity to argue the cumulative negative impacts of tar sands expansion may constitute a legal breach of the band’s historic Treaty 6 with the Canadian government, signed back in 1876. Faith Spotted Eagle wrote an important piece on the consequences of the pipeline going through South Dakota reservations. She also talked with Caroline Casey on the Visionary Activist Show yesterday, and there’s video of her testifying to the US State Department in April. 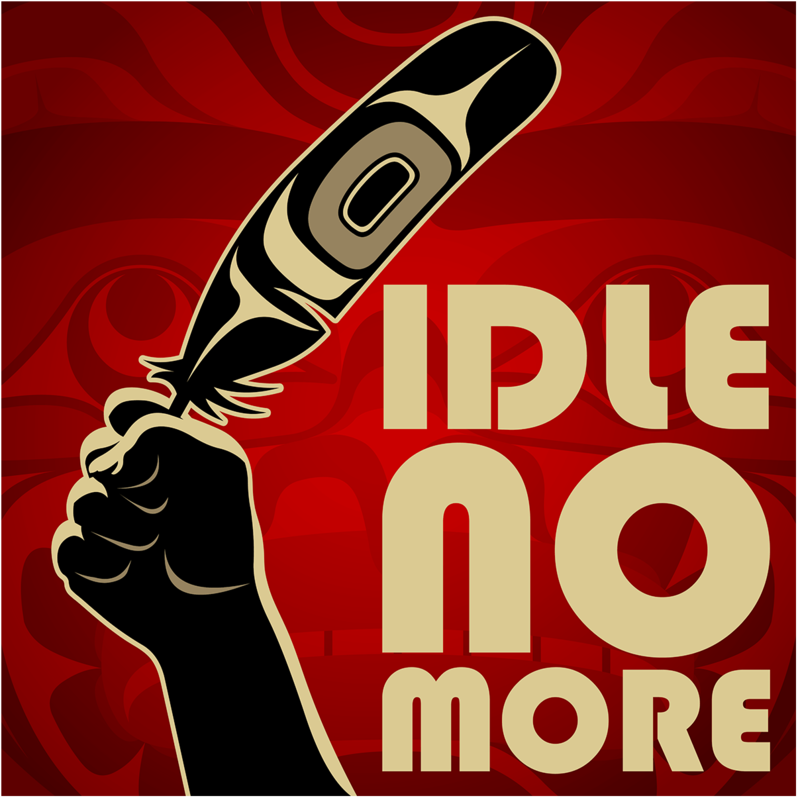 Ready to stand up and be Idle No More? Tags: climate change, Idle No More, indigenous rights, Keystone XL, Occupy!